Devon Grey Quartz Kitchen Countertop is grey with a lightly sparkle specks adding shiny and a tactile appearance. Grey quartz countertops ideas are dazzling for modern kitchens. There are much more kitchen countertops quartz colors to choose from Longton stone which are nonporous very hard and resistant to stains scratches moderate heat and most household chemicals. 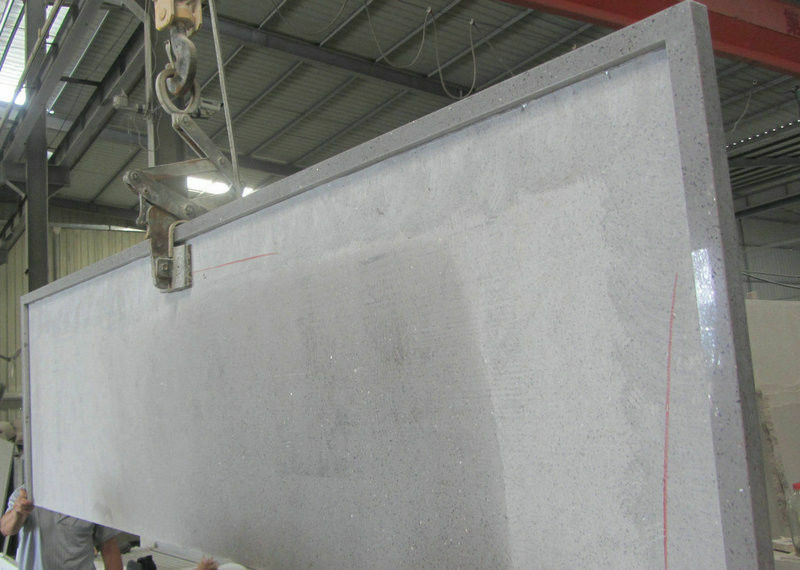 Countertop Size 48''x26". 70''x26", 78''x26", 96"x26", 108"x26"
Side Finish Flat, Easted, Stright, Bevel,Bullnose, Full Bullnose, Ogee. 1)Industry and trade as a whole, which can low down the cost. 3)more than 10 years of export experienced and skilled workers. 4)two teams of professional QC staff to check piece by piece,to promise no defective products. 5)NSF, CE, ISO9001:2000 SGS certificate. slab,quartz cut to size tile. 3.What services do u supply? 1)We will pick-up you from airport, if you’re coming to visit our company. 2)All inquiry and email will be responded within 24 hours. 3)one-stop service: product's CAD drawing, product knowledge consultancy, timely update order. we will deduct it from total amountwhen you place the order. During production: We will take pictures for Material Selection, Polish Edge Detail, Quality Inspection, Packaging and loading. After production: After sale service one-to-one. We will make compensation for goods damage due to my company's fault via alibaba(the gurantee money is $30000). Yes. 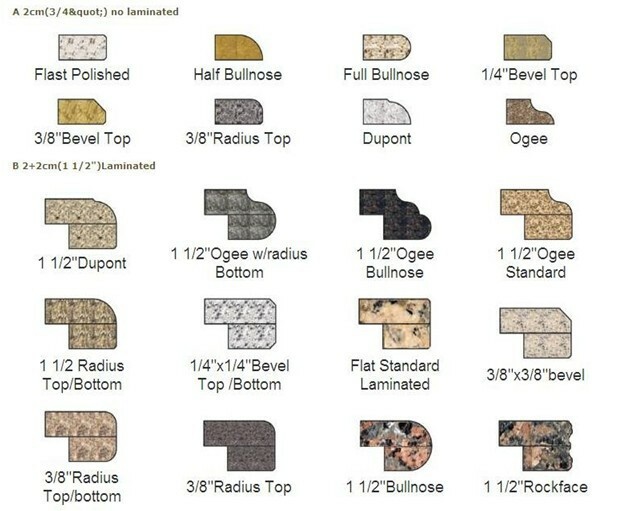 we accept customized design of quartz countertop,u just need to send us the CAD design drawing. 5. Can u supply OEM service? 6.How do u gurante the quality? 1)We will use the kitchen drawing to inspect the kitchen countertop by our experiences workers to make sure the kitchen countertop is perfect, kithen seams match, edge match at seams,sink cut out match,etc,and will take pictures of full kitchen countertop before shipping. 2)standard seaworth wooden crate package to keep the countertop from any damage during transport.